Today I am sharing a birthday card I created using the new jungle themed dies designed by Joset van de Burgt and released a couple of weeks ago by Elizabeth Craft Designs. 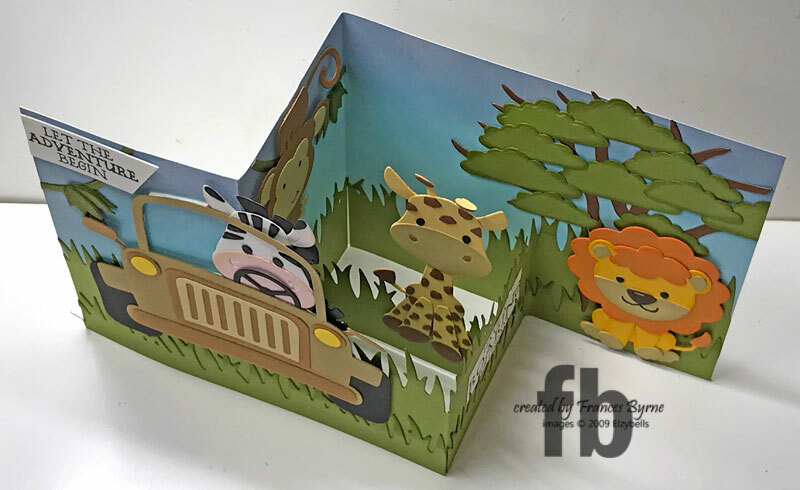 For this card I have created a Double Z Fold card. The base of this card is white cardstock and I used various blue Distress Oxide inks to create the sky. 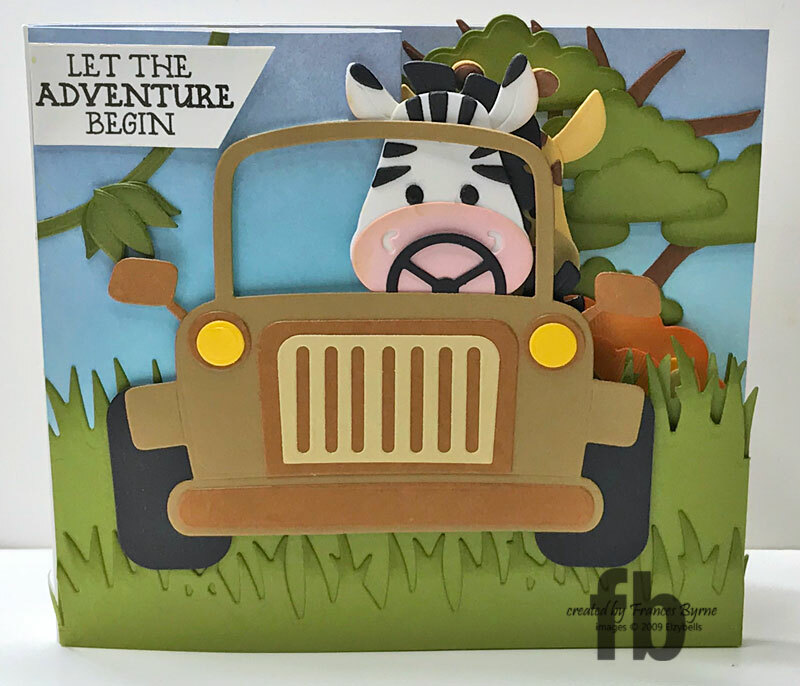 The grass border at the front of the card was created using the grass border included in the Tree die set. 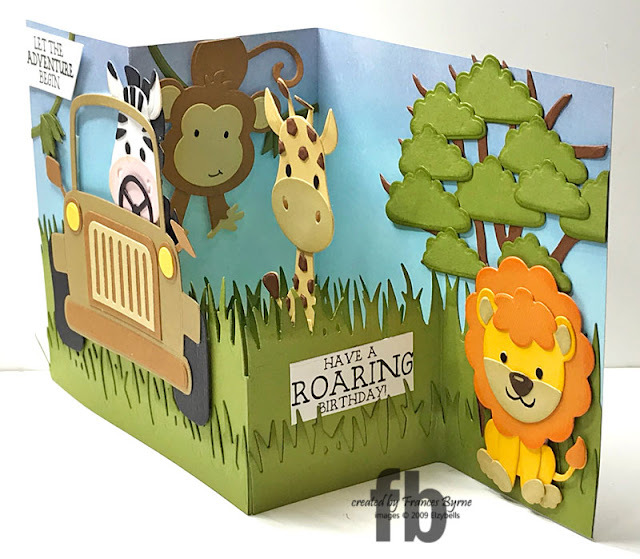 To decorate the card I used the Safari Jeep, Zebra, Giraffe, Lion/Tiger, Monkey, Jungle Leaves and Tree die sets. 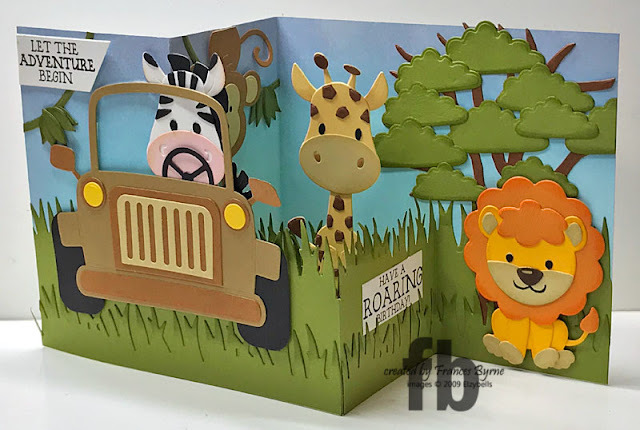 Here is an overhead view of my card, you can see how I added a grass panel in the centre of the square panel to add the giraffe. 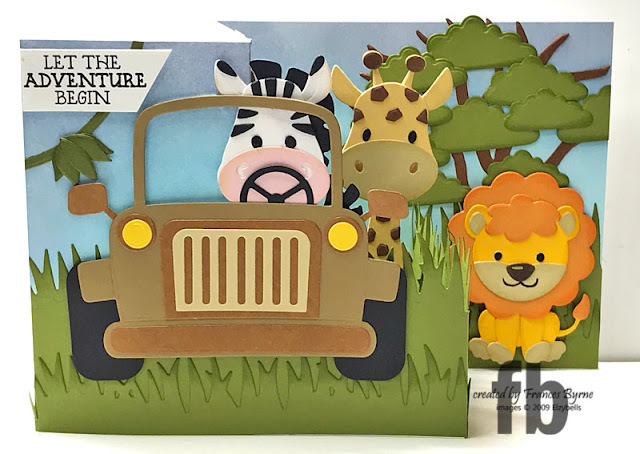 I also added two sentiments which are included in the Safari Sentiments Clear Stamp set. Such a fun card. So many details! I had to run and buy the Jeep die set, ha ha.